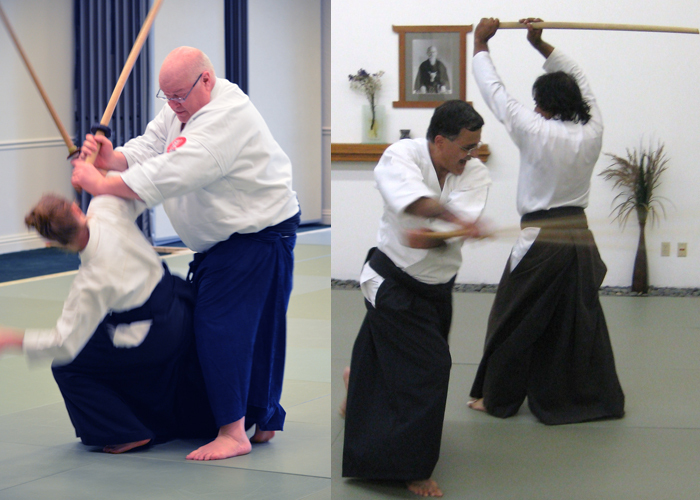 George Ledyard Sensei, 7th Dan direct student of Mitsugi Saotome Shihan is spear heading a project to document all of Saotome Sensei’s unique Aikido weapons forms. 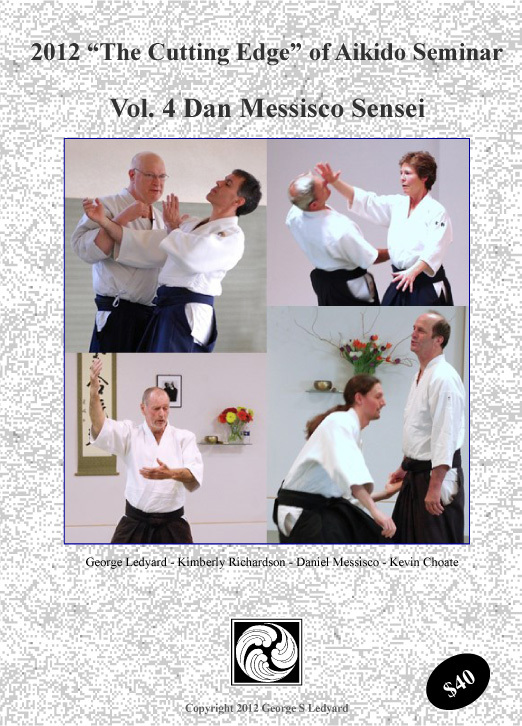 The second volume to come out of a 4-day weapons intensive held in 2014 with Wendy Whited Sensei, John Messores Sensei, and George Ledyard Sensei, this three Vol. 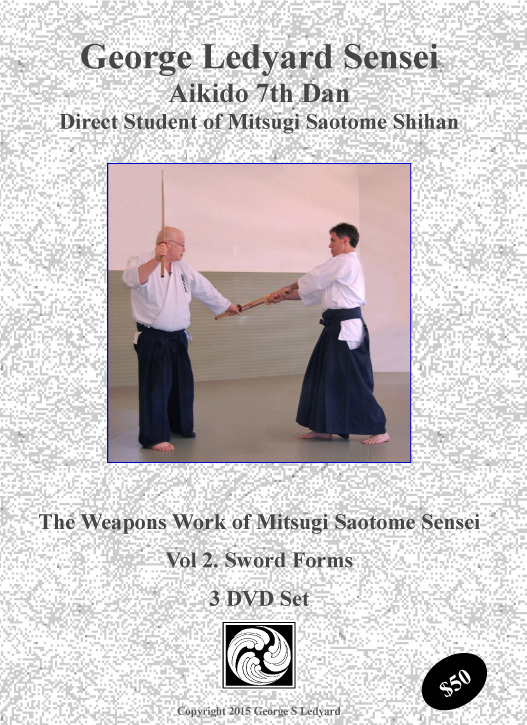 set (over 4.5 hrs of instruction) covers the Kasumi Forms (Deceptive Blade), the Kumi-Iai Forms (Paired Sword Drawing Forms), and the Nito Forms (Two sword Forms) taught by George Ledyard Sensei. While not an exhaustive presentation, a broad representation in each category is covered with detailed explanation. We have already released Vol 1 which featured Messores Shihan covering a broad spectrum of Saotome Sensei’s Jo Kata. This title is the followup to the Aikido Jo Forms of Mitsugi Saotome Sensei with John Messores Sensei. The next titles in the series will be Wendy Whited Sensei showing additional Aikido sword forms and Robert Deppe Sensei teaching two more sets of Saotome Sensei’s Aikido Jo Forms. This title is available only in download form. It is no longer available in physical DVD format.